This article was written by my friend Jeremy Oliver. Jeremy is an Assistant Pastor at Battle Ground Bible Church since August 2011. Previously he taught Bible and ran the Spiritual Life at a Christian academy in Phoenix, Arizona, where he also served in the biblical counseling program and led a small group at Harvest Bible Chapel North Phoenix. After earning a BA in History from Indiana University and a Master of Arts in Liberal Studies concentrated in History from Valparaiso University, he completed a Masters of Divinity from Faith Bible Seminary in 2010. He and his wife, Jen, have been happily married since November 2006. They have a beautiful boy named, Charlie. One of the great questions that loom in the mind of individuals is, “How can a loving and all-powerful God allow evil in the world?” If God is so concerned for humanity and even died to redeem it, how is it that evil exists in the world? Grant Osborne notes that Revelation serves as a theodicy of God, continuing in the line other biblical literature which “refers to the justification of God in two directions: the seeming triumph of the wicked and the suffering of the innocent.” Revelation continues in this tradition, prophesying of the culminating redemption of creation and the defeat of evil. It is in this horrid picture of judgment upon the world that ultimate redemption is found for those who hold fast to the redemptive work of Jesus Christ. In the final vision (Revelation 21:9-22:9) God has defeated the forces of evil and His redemptive work is completed. It is in the context of Revelation that the answer to the problem of evil is finally answered and God responds to so many who have echoed the cry of those slain on behalf of God, “O Sovereign Lord, holy and true, how long before you will judge and avenge our blood on those who dwell on the earth?” (Revelation 6:10). 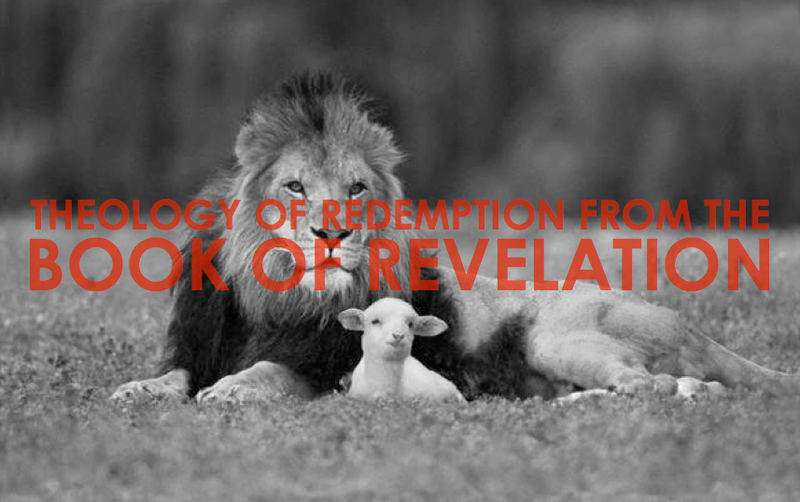 In this section, the theme of redemption will be traced through the book of Revelation. In the prologue of this book, John admonishes the reader to hold fast to Christ because the events flowing out of these visions are imminent and the consummation of redemption is ‘near’. Beale notes, “The main goal of the argument of John’s Revelation is to exhort God’s people to remain faithful to the calling of following the Lamb’s paradoxical example and not to compromise, in order that they may inherit final salvation.” Following this admonition is John’s vision of the risen Christ as he views the church in the world. This vision contains seven letters to contemporary churches of John’s day from Jesus (1:5), who has provided redemption “from our sins by his blood and made us a kingdom of priests to his God and Father” (1:5). After the initial greeting to these churches, Jesus observes their activities, bringing attention to their strengths and weaknesses. Yet within these letters there are promises of final redemption for those who repent and hold fast to Jesus Christ (2:7, 11, 17, 28; 3:5, 11-12, 21). Repentance is crucial to the people of God in Revelation and it is stubborn refusal to repent that precedes the judgments of God. Osborne notes, “It is clear that the judgments of the trumpets and bowls are not just the over-reaction of a vindictive God who wreaks vengeance on all his enemies but a last call to repentance while there is still time.” Jesus is calling them to repent and stand, which in turn is setting the stage for what one should stand firm for, namely, the consummation of redemption at the end of human history as we know it. The return of Christ is certain and imminent; they will be affected by it, whether it occurs in their lifetime or in the distant future. “We give thanks to you, Lord God Almighty, who is and who was, for you have taken your great power and begun to reign. The nations raged, but your wrath came, and the time for the dead to be judged, and for rewarding your servants, the prophets and saints, and those who fear your name, both small and great, and for destroying the destroyers of the earth” (11:17-18, ESV). The next stage in this progress of redemption is battle between God and Satan. It is Satan who is ultimately behind this rebellion against God and who battles greatly against God’s people on the earth (12:17), knowing that his time is limited (12:12). In his battle against God’s people, Satan calls the Beast and the False Prophet to cause men to reject God (13:4, 14) and brutally hunt and massacre the people of God in the world (13:7, 15). But even in the midst of this ghastly scene, there is hope for those who choose God over this rebellious onslaught (13:7-10). In this is the hope of that final destruction of evil by God and the consummation of redemption. In response to this great atrocity God does not idly allow evil to continue unrestrained. He is patient with humanity, warning them of the coming judgment (14:6-13) before his final and horrific judgments and the millennium in which he will rule upon the earth (15:5-18:24). Here God continues his process of defeating evil and progressing towards the pinnacle of redemption. Again God is praised for his just and sovereign dealings with evil and rebellion (19:1-2) and calls his people to himself where they will commune with him, in contrast to the destruction of those who are conquered with the Beast and the Prophet. After this thousand year reign the ultimate defeat of evil comes as Satan is cast into the Lake of Fire and all those who followed this rebellion with him. It is here that evil is ultimately defeated and God wholly brings redemption to the world and all those who follow him (21:1-22:5). The overarching theme of this consummation of redemption is marked by the new heaven and earth (21:1). There are three specific elements of this redemption that will be examined further: Jerusalem, the Temple, and the people of God. Jerusalem is a place of great significance throughout Israel’s history and is, as Isaiah noted, “Yahweh’s holy hill, the place where he lives (4:5; 8:18; 10:12; 12:5-6; 14:32; 24:23; 30:19; 31:9)”. This city was established under the reign of David as the capital of Israel; it is here in the Tabernacle and eventually in the Temple that Yahweh dwelt. Sadly, sinful Israel mistook this presence of Yahweh for unconditional protection, which was shattered with the Babylonians in 587 B.C. and the unimaginable scene of the removal of Yahweh’s presence from Jerusalem’s Temple in Ezekiel (8:1-3). It was because of sin that Jerusalem never attained the status intended for it as the city of the Great King (Psalm 48:2). Jerusalem, which was intended to be a place of great worship of Yahweh, became a place which “kills the prophets” (Luke 13:33) and would eventually murder the one who came to redeem it, Jesus Christ. This city lost its status as the dwelling place of God and instead received condemnation from the Savior (Luke 19:41-44). It is in Revelation 21-22 that Yahweh redeems Jerusalem from its sinful past so that it lives up to its potential as the city of the Great King (Psalm 48:2). The description that John gives is fantastic, recording a place of immense glory and the dwelling place of the glorious One. The Temple was the center of Jewish worship of Yahweh. After the Fall of Adam and Eve in the Garden, Yahweh was not able to dwell directly with his people due to their sinfulness and his holiness. Yet, desiring a relationship with his people he had the Israelites, under the leadership of Moses, construct the Tabernacle as a place of worship in which this was possible. Even this interaction between God and man did not compare to the harmonious relationship in the Garden, as sacrifices had to be offered continually and the people were removed from direct presence of God in his dwelling place, the Holy of Holies. Once the permanent settlement of the Temple was constructed, this same basic structure remained in place for Jewish worship. It was in the holy city of Jerusalem that the Temple was erected and viewed as being protected because it was the dwelling place of God. However, with the destruction of Jerusalem and the Temple in 587 B.C., all of Israel was distraught and confused. McKelvey notes, “This meant nothing less than the loss of God’s presence (Ezek. 9:3; 10:4-5; 11:23).” The Temple was restored under the leadership of Ezra and Nehemiah, but this did not last either. Later in the New Testament Paul would describe the believer as “God’s Temple” (1 Corinthians 3:16-17). No longer did the believer have to offer sacrifices to Yahweh as a means of blood manipulation; rather, through the death of Jesus Christ, sin was atoned for and a new era of communion with Yahweh was brought forth. The nullification of Temple worship became even more apparent with the destruction of the Temple in A.D. 70. However, believers are still sinful beings and do not yet know the promise of ultimate fulfillment of dwelling with Jesus. In Revelation 21-22 the realization of this is seen in the structure of the New Jerusalem. Revelation 21:22 gives the key to the Temple in the New Jerusalem, “and I saw no Temple in the city, for its Temple is the Lord God Almighty and the Lamb” (ESV). What an amazing picture in which communion with God is fully realized, without the need of sacrifices or the veil of the Holy of Holies. It is here in the New Jerusalem that God and humanity will dwell together as was intended in the Garden of Genesis 2. In Revelation 21-22 redemption is fully realized as this communion occurs between humanity and God. Revelation 21:3 gives such a vivid picture of this ultimate goal of Yahweh’s sovereign plan of redemption, “Behold the dwelling place of God is with man. He will dwell with them, and they will be his people, and God himself will be with them as their God” (ESV). What a glorious picture of the hope which all believers should long for. Ladd notes, “This feature – the fact that God will be God to his people – is the central element of God’s covenant with his people throughout the entire course of redemptive history…Now, at last, this covenant promise finds its perfect fulfillment in the new earth of the Age to Come.” Finally, it is this hope that is the motivation for John’s benediction (Revelation 22:6-21). Grant R. Osborne, “Theodicy in the Apocalypse,” Trinity Journal 141:1 (Spring 1993), 64. G.K. Beale, New Dictionary of Biblical Theology, 356. Osborne, “Theodicy in the Apocalypse”, 69. Beale, G. K. The Book of Revelation: A Commentary on the Greek Text. (Grand Rapids: W.B. Eerdmans Publishing Co., 1999), 173. P.W.L. Walker, “Jerusalem”, in New Dictionary of Biblical Theology, ed. by T. Desmond Alexander, Brian S. Rosner, D.A. Carson, and Graeme Goldsworthy (Downers Grove, IL: Inter-Varsity Press, 2000), 589. R.J. McKelvey, “Temple” in New Dictionary of Biblical Theology, ed. by T. Desmond Alexander, Brian S. Rosner, D.A. Carson, and Graeme Goldsworthy (Downers Grove, IL: Inter-Varsity Press, 2000), 807. R.L. Hubbard, Jr., “Redemption” in New Dictionary of Biblical Theology, ed. by T. Desmond Alexander, Brian S. Rosner, D.A. Carson, and Graeme Goldsworthy (Downers Grove, IL: Inter-Varsity Press, 2000), 720. George Eldon Ladd, A Theology of the New Testament, (Grand Rapids: Wm B. Eerdmans Publishing Co., 1974; revised edition, Grand Rapids: Wm B. Eerdmans Publishing Co., 1993), 682.